Your beauty and your ugliness go hand in hand, they cannot be separated. You have many faces. Like a kaleidoscope you dazzle all who look upon you. Some see truth, some see excitement, others see only sadness and despair-but all have strong reactions. You are the opposite of bland. You are a mirage, ever-shifting and changing. You offer life, yet you bring death. You are never quiet, never still. You suffocate, intoxicate, annihilate. You provoke debate. Like a boa constrictor you wrap yourself around your prey while they are unaware and squeeze the life from them, bit by bit. Like a Venus Fly Trap you lure your victims in with sweet nectar before drowning them in toxic secretions. You twist and turn, you ebb and flow. You smoke and burn, you shrink and grow. You breathe the collective sighs of thousands. You build up and you break down. You belong to everyone and no one. You are the sweetest of scents and the foulest of odours. You are music, you are movement. You are passion. Your light may, at times, diminish. But it will never be extinguished. You are a multitude of things. London: How I love you. 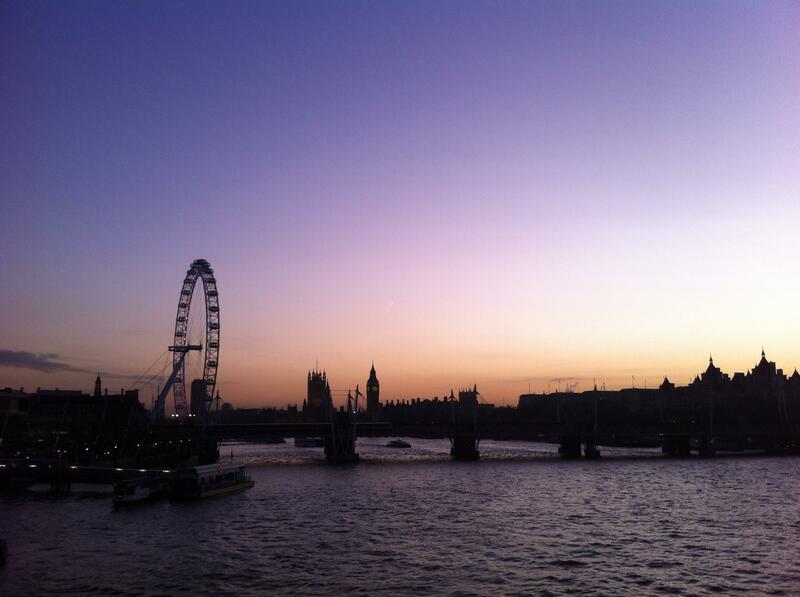 This is my favourite view of London, it signifies everything that’s great about this crazy City in which I live.